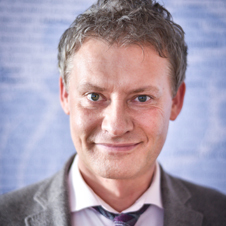 Rafal Ohme (PhD) is a professor of psychology, expert in emotions, communication and brain research. He held a Fulbright scholar at Kellogg School of Management, at Stanford University he conducted research on unconscious emotions. Awarded by the President and the Prime Minister of the Republic of Poland, a honorary member of Executive Club. A finalist of Entrepreneur of the Year 2015 program organized by EY. He teaches in Poland at University of Social Sciences and Humanities and is a visiting professor at Renmin University of China and Stellenbosch University in Cape Town. Founder of NEUROHM, a company emerged from his innovative R&D started in 1997. NEUROHM is a research & advisory company to develop new consumer research methods for HR, sales, marketing & PR, that are licensed globally. It has licensed its methods to over 20 research companies around the world, including the US, Europe and Japan. Member of major marketing, psychological and neuroscientific associations, has written more than 150 articles and chapters and published in top scientific journals. Author of Unconscious Affect (2007), Subliminal Facial Information (2003), and trilogy Automaticity (2001, 2003, 2003). He was a guest speaker at seminars and workshops on 5 continents in 30+ countries. Elected Advisory Board Member at NMSBA (2012-2014), reelected in 2015.